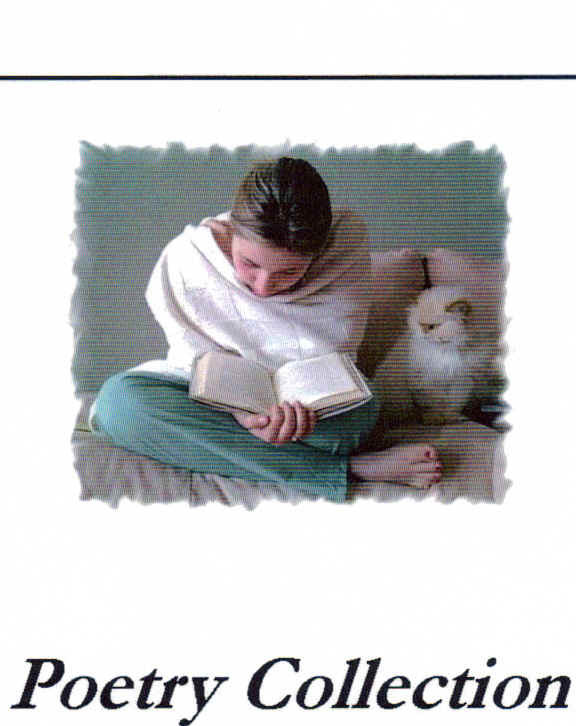 Diane Anjoue's beautiful spirit infuses her poetry with the sheer perfection of description. Romantic elegance often turns to profound conclusions as in "Mianzi." Silence is a place to think by a screen window while it rains and the ebb and flow of longing is ever present. She goes beyond "my heart is yours" and declares: "My heart is within you." As she captures moments with her creative world, you start to want to be lost within each poem filled with a rhythm that invites many sentences to be read a second time just for the pleasure of playing with words. I am amazed by her poem "Ritual Cleansing." Here she connects with an invisible realm where you are cleansed by the thought of another human being as if there was no separation between bodies, but only a flowing of the soul from one moment to the next. She continues this theme in "Carried Away" when she is showered with tears. The images show a high level of awareness where I often wish I could live. She is honest, caring, soft, brave, filled with longing and often dreamy in her strength. "Weaving Gypsy Spells" is a poem highlighting images of Autumn, turquoise seas, sandalwood and seaside storms. The poem in itself is delicious with images of baklava and vanilla and then warms beautifully with a story of family life and taking care of her baby while they all eat breakfast in bed. Diane Anjoue finds a certain ecstasy in the sheer beauty of description. She goes beyond poetry and creates moments of perfection filled with the scents of essential oils, delicious foods and whispering nights. Her heart is ever present, always connected to the words she uses as if they are an extension of her soul melting into the pages like lavender honey. This is a woman who has loved deeply, tasted emotional perfection and experienced the depths of romantic longings. I am comforted by this beautiful invitation to mingle with her world for moments. Poetry Collection de Jolie-Laide is one of the most beautiful books of poetry I have ever found. 100 Best-Loved Poems presents poems from the Middle Ages to the 20th Century. The poets are all familiar, but the poems are more varied and quite a few are poems I'd never read before. In a compilation like this, you'd imagine to find quite a few familiar favorites from high school or college and those did appear throughout. There is comfort in reading poems we tried to understand in school, but didn't have the emotional maturity to fully digest. Now upon reflection, how could we have truly understood "To His Coy Mistress" at 16, a poem born of mature desire. Now nearing forty, I feel I can linger in these poems enjoying every nuance. This classic collection includes brief introductions to each poet and includes some information on poetic forms. In the section of Ballads, you can hear the singsong rhymes as you read so the first poem was a good choice. The poets include: Lord Randal, Sir Patrick Spens, Sir Thomas Wyatt, Christopher Marlowe, William Shakespeare, Thomas Nashe, John Donne, Ben Jonson, Robert Herrick, George Herbert, Edmund Waller, John Milton, Richard Lovelace, Andrew Marvell, Henry Vaughan, Thomas Gray, William Blake, Robert Burns, William Wordsworth, Samuel Taylor Coleridge, Leigh Hunt, Lord Byron, Percy Bysshe Shelley, William Cullen Bryant, John Keats Ralph Waldo Emerson, Elizabeth Barrett Browning, Henry Wadsworth Longfellow, John Greenleaf Whittier, Edgar Allan Poe, Oliver Wendell Holmes, Alfred, Lord Tennyson, Robert Browning, Walt Whitman, Matthew Arnold, George Meredith, Emily Dickinson, Christina Rossetti, Lewis Carroll, Thomas Hardy, Gerard Manley Hopkins, Robert Louis Stevenson, A.E. Housman, Rudyard Kipling, William Butler Yeats, Edwin Arlington Robinson, Robert Frost, Carl Sandburg, Wallace Stevens, William Carlos Williams, Ezra Pound, Marianne Moore, Edna St. Vincent Millay, Wilfred Owen, E.E. Cummings, W.H. Auden and Dylan Thomas. While the poems are not overly culturally diverse and seem to focus on English and American poets, there is a wonderful early translation for "The River-Merchant's Wife: A letter." It was fun to find "The Tyger" by William Blake and Lewis Carroll's "Jabberwocky" makes a little more sense to me now. "Ode on a Grecian Urn" makes more sense when you can see a picture. Percy Bysshe Shelley's "Ozymandias" is a reminder of time's destructive powers and William Wordsworth's "I Wandered Lonely as a Cloud" speaks of the human condition and the way we connect with nature. William Butler Yeats has a different take on age in "When You Are Old." He speaks more of appreciation than destruction. The selections by Emily Dickinson are playful and they made me want to read more of her poems. There are quite a few life lesson poems that are profound in content, like "If-" by Rudyard Kipling, where he speaks of what it takes to me a man. Robert Frost also presents intriguing notions and life choices in his "The Road Not Taken." This collection offers recollections of poetry you may remember and introduces quite a few poems that are less familiar. John Donne's Holy Sonnet XIV was new to me, although I had read Holy Sonnet X..."Death be not proud..."As far as romance goes, Ben Johnson's "To Celia" stands out as does Robert Burns' "A Red, Red Rose." 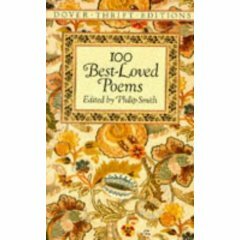 100 Best-Loved Poems is a lovely classic collection and it is nice to have all these poems in one book for future contemplation. I will have to agree with everyone else who made comment as to the lack of cultural variety. For this, you may want to seek out poetry collections by Sam Hamill. For me, this was an inexpensive way to expand my poetry knowledge and to remember some of the poems I learned in high school and college. Painted cottons were developed in India in the fourteenth century. When printed and painted beautiful cottons appeared from India in the seventeenth century, a French embargo was placed on the import, manufacture, and sale of foreign fabrics. Jouy is an area of France that is very famous for making Toile fabrics. Jouy-en-Josas is a little town near Versailles, southwest of Paris. The Manufacture Royale de Jouy was founded in Joy-en-Josas along the Bièvre river. This factory once employed 1,300 workers who printed miles of fabric. The fabric was printed using copper sheets, which allow precise drawings that are much more detailed than those carved on wood. Jean-Baptiste Huet (1745-1811) was the artist who's drawings for the copper sheets were later called toiles de Jouy (Jouy fabrics). Soon, a carved copper roll printed 5,000 meters of fabric in one day. Hippolyte le Bas, Jean-Louis Demarne, Horace Vernet were some of the famous painters who loved designing for those interested in Egypt and mythology. While the factory closed, some new prints are still made by using old drawings from the Textile Museum in Mulhouse. I've recently given away some of these beautiful Gibbs Smith cards to friends who love to write, but this is a box I'm keeping. These "Toiles De Jouy" cards are beautiful and are printed with reproductions of 18th-century French fabric and wallpaper designs. The box itself is very collectable and I'm thinking of filling it with letters from a friend. 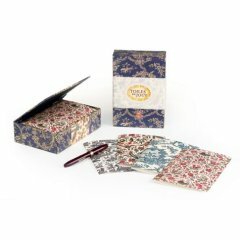 The box has a hinged lid and contains 20 note cards and 20 envelopes. There are four designs and five cards printed with each design. The first card is bursting with pink flowers, tiny scenes from far-away lands and an elephant, bird and interesting deer creature. Each picture is framed in a pink circle and the flowers meander around the frames. The second card is highly decorative and you can see the fabric texture and delicate, almost antique quality of the monochromatic slate blue designs set against the vanilla fabric. My favorite and third card in this collection is a scene of flowers and leaves with animal heads. It is like the flowers and leaves have their own personalities or animals are being born from mysterious and unnamed species of plants. A green and pink flower burst with stars while mythical beast hides behind a sharply edged leaf. I especially noticed the seven-pointed star flowers and the intricate and imaginative flower designs in purple, fuchsia and dark green. The last card has pastoral scenes and contains pictures of angels, roosters, children dancing in circles to music and outdoor retreats all in a gray print. You may also enjoy: Toiles de Jouy by Betty Lou Phillips or look for the complete history of these textiles in Toile de Joy by Melanie Riffel. If you love these cards, you can also still purchase fabrics online and some of the "ancient" prints are stunningly beautiful.